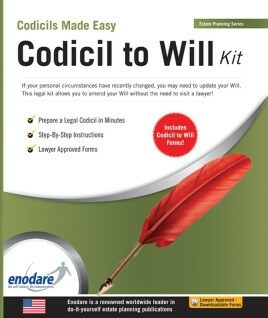 A codicil is a simple document that allows you to make amendments to your last will and testament. In most cases, the amendments made by a codicil are relatively minor. For example, they may seek to appoint new executors, make new gifts or release people from debts. However, in other cases, the amendments can completely change the nature of the will - such as where you change the identity of the person who will receive the residue of your estate. Codicils are fairly simple to complete and use. In most cases, they simply refer to the existing clause of the will that needs to be amended and specify details of the amendment that is required. Once the codicil is completed, it needs to be signed and witnessed in accordance with the same strict legal requirements that applied to the execution of the original will. This self-help legal kit includes step-by-step instructions, detailed information and all the legal forms necessary to prepare your own codicil without the need or expense of engaging a lawyer. 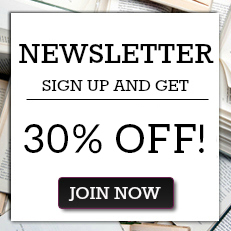 It also includes various examples of the changes that you might wish to make to your will.